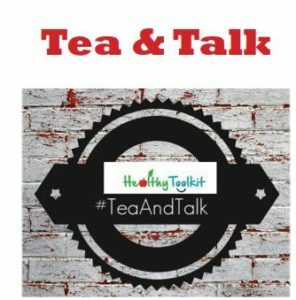 It started with a blog that focussed on slow marking and slow questioning, then I realised how much in teaching would benefit from being deliberately slowed down. I then spent a year writing and experimenting in my own classroom with some slower methods, alongside reading as much on education as I could get my hands on. I hope that the result helps teachers to reflect on how best we can use our time to have the most impact for both ourselves and the young people we teach. 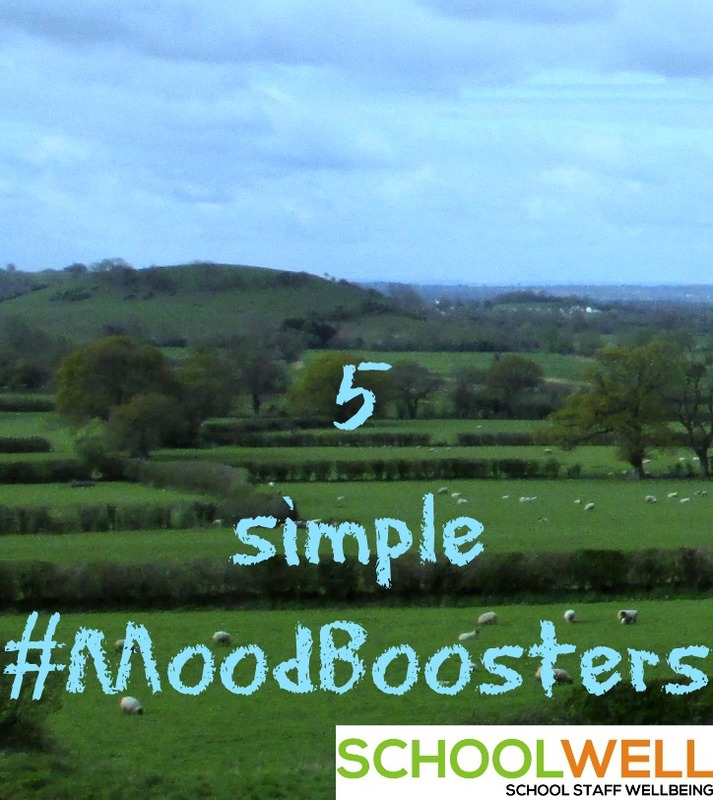 What sparked your interest in teacher wellbeing? 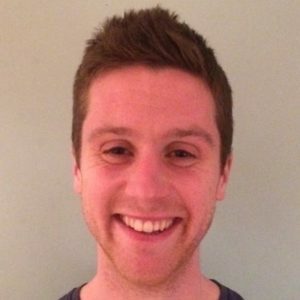 My own start to teaching was particularly fast paced: I was promoted early in my career and within five years I was working as an Assistant Headteacher in a comprehensive in central London. Although I loved the challenge, I struggled to prioritise my time and ended up working longer and longer hours. I was also young and thought I was invisible – who needs sleep when you are engaged in such meaningful and important work? Inevitably this led to a complete burn out and I ended up ill and off work for more than a month. It took a long time for me to get back to my usual self. 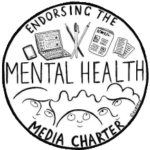 For someone so used to pace and adrenaline this was a real shock, and I knew that I would have to make some real changes to sustain a long and hopefully useful career in education. I also knew that I wanted to return back to the classroom full time and focus on teaching, but I also wanted to channel my own experience into something positive. Often committed and diligent teachers can be the own worst enemies, investing time in activities that will have less impact on our students’ learning than we think. We often end up moving with more and more pace, a constant cycle of exhaustion. Serious consideration of teacher wellbeing has to involve practical ways in which we can make better, research informed decisions about how we invest our time. The more open we are about our own experiences, the more we can try to break the ludicrous martyr concept that can surround teachers. The reality is simple: unless we learn how to look after ourselves we cannot provide our best version to help young people. The louder individual teachers’ voices are, alongside this, the more schools start to seriously consider policies that can be very harmful in assisting teachers in finding a balance. We have a moral responsibility not to accept the hamster on the wheel approach to teaching, by refusing to do so we help to make teaching a more intellectually engaging profession. 3. On a day to day basis, how do you manage your own wellbeing? There has to be an element of individual discipline to wellbeing, it is not something that happens by chance or osmosis. I am a bit of a running obsessive, and making the time to fit this into my day can be very helpful in leaving behind the stress of the classroom. Even just the act of a walking can make a massive difference; it begins to clear the head and mind. As a more introverted chap, I also find the process of writing hugely cathartic in making sense of some of the internal mind wars. I started writing a diary a couple of years ago and found it very useful in helping to find perspective. Stress and anxiety can generate real tunnel vision thinking, and taking the time to write about your daily experience can help to provide clarity and optimism. Of course, another journey I have been on (although my wife still pesters me on this!) is about being open and honest with others about the reality of how I am feeling. Finally, the other discovery I have made over the past two years has been the benefits of regular meditation. Being very much fast paced person it was never something I thought I every engage in. Now I try to make time for ten minutes a day of silence, what initially felt bizarre has now become an important part of sustaining a calm and positive attitude. 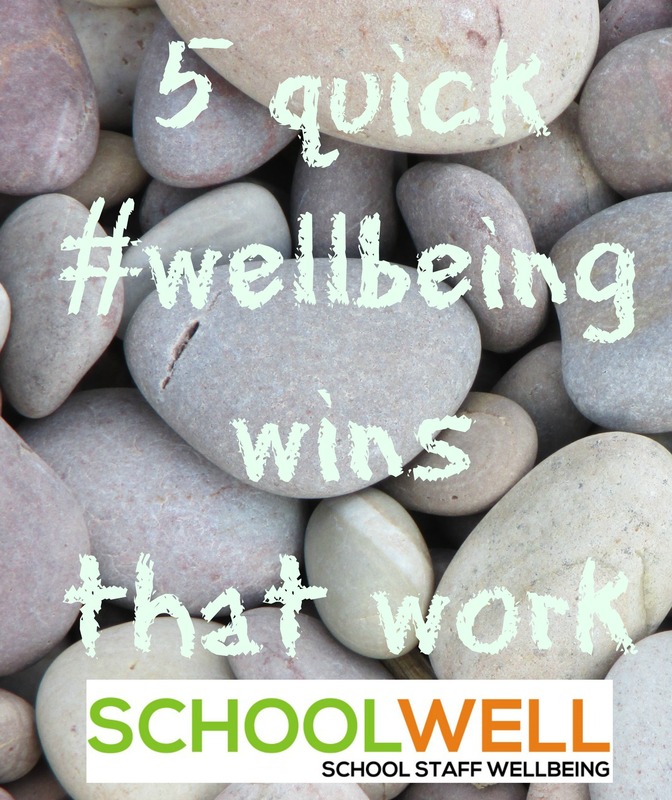 Although the conversation about wellbeing is important in a school environment, arguably the policies in place and the ethos of a school are more meaningful in helping staff to find value and balance in their work. There can be a lot of empty rhetoric about wellbeing, there is no point booking a yoga instructor if your unrealistic marking policy is crippling teachers. Perhaps it is about management taking the time to be reflective and pragmatic about the expectations that are being placed on teachers. It is also about not fuelling the myth that longer working hours result in better outcomes for young people. Listening to staff, trusting that people are committed to doing their best and building a collaborative working environment is a much more sustainable way of improving wellbeing. There also needs to be time given to help teachers to improve as practitioners and professionally, giving fuel to talk about what we all are deeply invested in: teaching young people. How do you feel about the current focus on workload from the DFE and Ofsted in particular? This has to be seen as a turning point: teacher retention and encouraging potential teachers to join the profession depends on it. 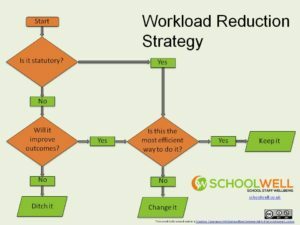 Simplifying some of the processes and being clear about what isn’t working with schools is essential. Again, we need to see practical suggestions and more work needs to be done to shatter some of the myths that some schools are still holding on to. Endless data collections and meaningless assessments have to be challenged rigorously – both are devouring teachers’ time and energy levels. I also welcome the more sustained approach to teacher training, we need to nourish and support teachers in the very challenging first five years in the profession. I do also feel that more needs to be done to celebrate the wonderful aspects of teaching, to balance the focus on stress and workload. This, surely, is as important in establishing wellbeing – recognising the value of what we do on a daily basis. This, in turn, will help to make our profession more attractive for potential teachers. What do you consider the impact of social media on wellbeing to be? Since joining Twitter eighteen months ago I have been inspired and challenged to make improvements to my teaching. There is so much there that is positive and meaningful, it is an excellent platform for authentic and passionate teachers to share practice. Things like @team_english1 are genuinely transformative in saving teachers time and energy. Like anything, however, there are aspects of social media that are not as positive. It can very easily perpetuate the narrative of the negative, and some of the loudest online voices at times don’t strike a useful balance between criticism and the optimism we all need to fuel our spirits. Any profession also needs time to step outside of their own bubble to gain perspective and clarity. Social media is so pervasive and immediate that it can be hard to genuinely switch off from the teaching world. Taking regular breaks from social media is important to leave behind teaching and clear our minds. I also would love to see more writing and sharing from teachers about what they do inside their own classrooms, that has what has energised and inspired me the most about the Edu-twitter world. That process of slowing down to reflect on what we are doing in the classroom is also one of the best ways to grow and improve as practitioners: we capture what has gone well and can replicate it at a later point. 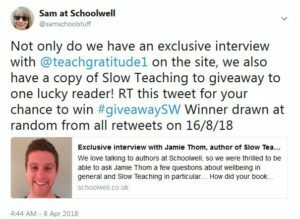 We have a copy of Slow Teaching to give away to one luck Schoolwell reader. Just hop over to Twitter and retweet THIS TWEET for your chance to win! The lucky winner will be drawn at random from all retweets on the 16/4/18. Yes, there is a mistake in the tweet. Oops.